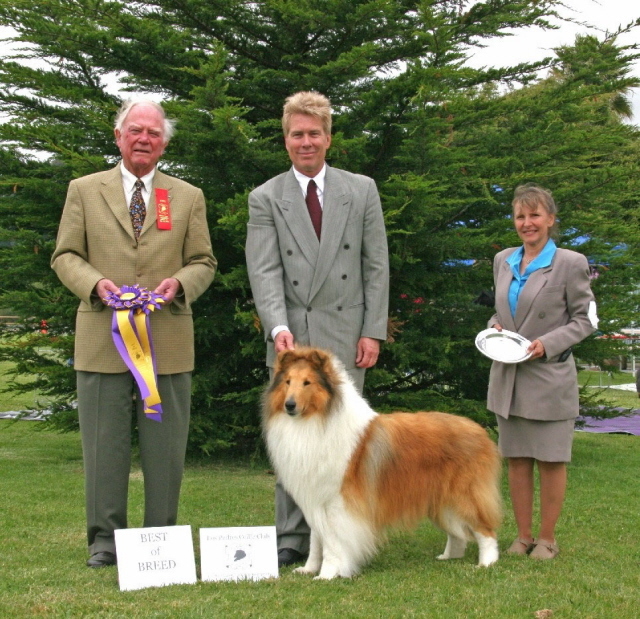 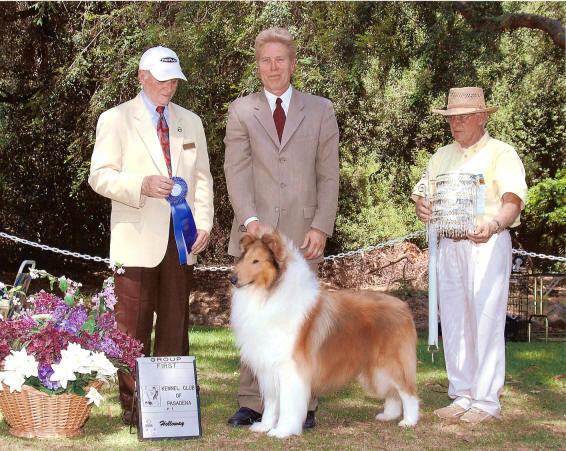 "Tucker" is pictured wining Best of Breed at the Los Padres Collie Club Specialty under judge William Bergum. 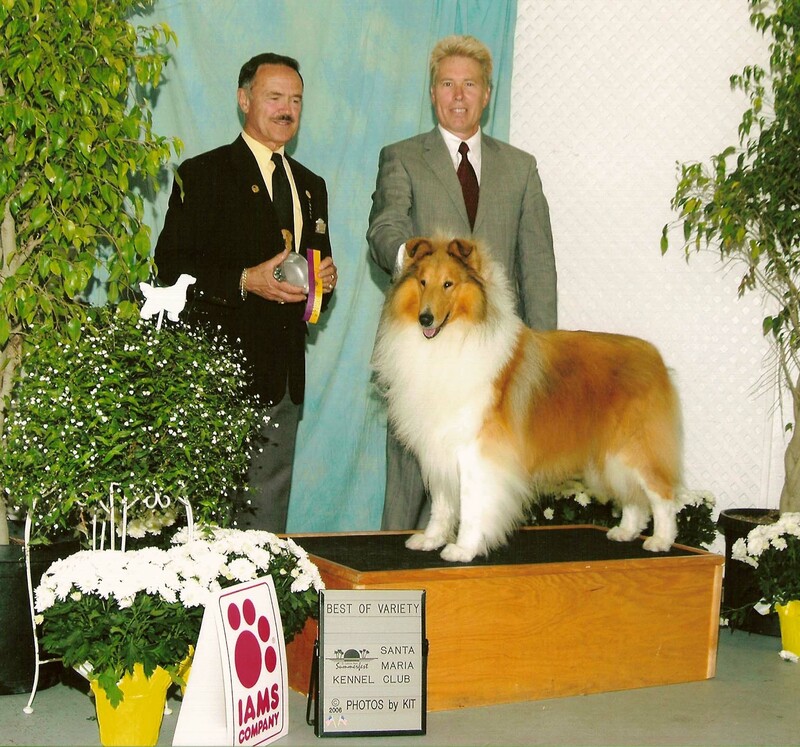 He is a Group winning, multiple Best of Breed winner and Best In Specialty Winner. 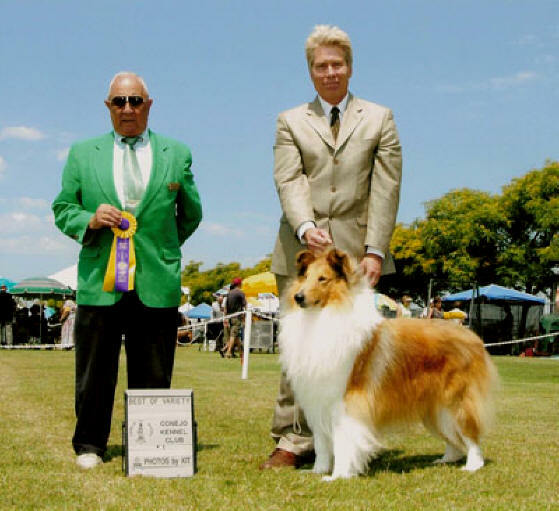 Best of Variety Conejo Kennel Club - Judge Col. Jerry H. Weiss.